New York is a "mixed" state, meaning that it has a dog bite statute that mixes the one-bite rule with a limited degree of strict liability. The statute makes the owner or keeper of a previously adjudicated "dangerous dog" strictly liable only for the victim's medical and veterinary costs. 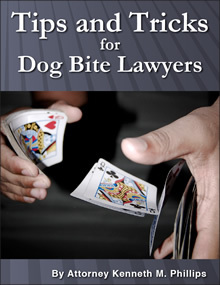 For other damages, New York requires a victim to prove that the dog had the dangerous tendency to bite people, and that the dog owner knew it. 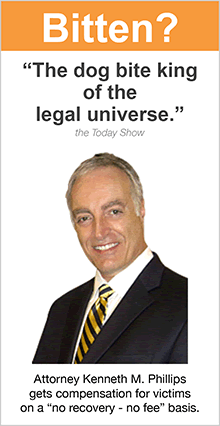 New York does not permit victims to recover compensation on the ground of negligence. 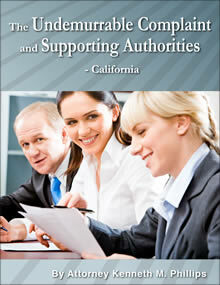 If you are an attorney who is researching the law in this state, read this page and also click here. 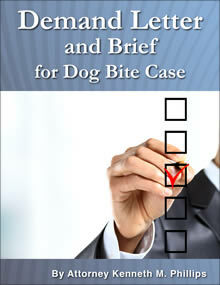 If your case involves injury to a dog, see When a Dog Is Injured or Killed. 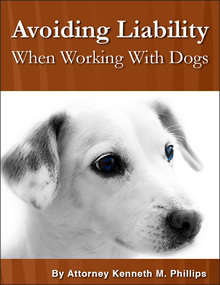 Strict liability for medical costs if dog is "dangerous"
New York courts have long recognized a cause of action that imposes strict liability on the owner for injuries inflicted by his dog if the victim can establish that the dog is vicious and that the owner knew or should have known about such vicious propensities. The state's highest court ruled "that the owner of a domestic animal who either knows or should have known of that animal's vicious propensities will be held liable for the harm the animal causes as a result of those propensities. Vicious propensities include the propensity to do any act that might endanger the safety of the persons and property of others in a given situation." Bard v. Jahnke, 6 NY3d 592 (N.Y. 2006), citation omitted. Presence of "Beware of Dog" signs standing alone are not enough to imply that dog owner knew of his dog's vicious propensities. Altmann vs Emigrant Savings Bank, 249 AD2d 67, 68 (First Dept, 1998); Frantz vs McGonagle, 242 AD2d 888 (Fourth Dept, 1997); Arcara vs Whytas, 219 AD2d 871, 872 (Fourth Dept, 1995). A defendant who establishes by undisputed proof that his dog had never bitten anyone before and had never bared its teeth or growled at anyone before is entitled to summary judgment. Arcara vs Whytas, 219 AD2d 871, 872 (Fourth Dept, 1995). The fact that a dog was chained and strained on its chain and barked when people approached was held insufficient to create an inference that the dog was vicious. Gill vs Welch, 136 AD2d 940 (Fourth Dept, 1988). In determining whether an animal has vicious propensities, a jury may consider the nature and the result of the attack on the victim. Lynch vs Nacewicz, 126 AD2d 708, 709 (Second Dept, 1987). Evidence of the severity of injuries by prior victims of same dog is admissible as probative of the dog's vicious propensities and the owner's knowledge of same. Lynch vs Nacewicz, 126 AD2d 708, 709 (Second Dept, 1987). 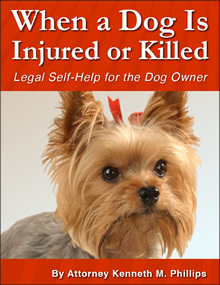 New York cases refer to negligence as a ground but do not permit recovery for general or common-law negligence unless the defendant knew or should have known that the dog in question had a vicious or dangerous temperament -- in other words, the victim has to prove scienter. Bard v. Jahnke, 6 NY3d 592 (N.Y. 2006), citing Collier v Zambito, 1 NY3d 444 (2004). The Bard court stated emphatically, "when harm is caused by a domestic animal, its owner's liability is determined solely by application of the rule articulated in Collier." Id. For the definition of "scienter," see The One Bite Rule at dogbitelaw.com. 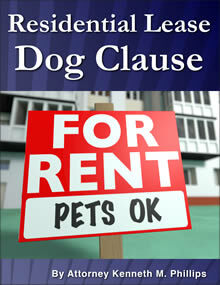 To hold a landlord liable for a bite injury caused by a tenant's dog, the victim must prove that at the time of the initial leasing the landlord had actual knowledge of (1) the presence of the dog and (2) the dog's vicious propensity to bite humans. Strunk v. Zoltanski, 62 N.Y.2d 572, 468 N.E.2d 13, 479 N.Y.S.2d 175 (1984). Landlords can even be held liable for off premises attacks under the general common-law rule where the landlord has the right to remove the animal by evicting the tenant. Strunk v. Zoltanski, supra, 62 N.Y.2d at p. 576; see also Cronin v. Chrosniak, 145 App. Div. 2d 905, 906–907, 536 N.Y.S.2d 287 (1988). If a defendant moves for summary judgment and introduces admissible evidence that indicates that defendant had no knowledge of the dog's vicious propensities, plaintiff must submit rebuttal evidence or risk having his complaint dismissed. Luts vs Weeks, ___AD2d___(Second Dept, 1/31/2000); Althoff vs Lefebvre, 240 AD2d 604 (Second Dept, 1997); Smith vs Farner, 229 AD2d 1017, 1018 (Fourth Dept, 1996); Arcara vs Whytas, 219 AD2d 871, 872 (Fourth Dept, 1995); Fox vs Martin, 174 AD2d 875, 876 (Third Dept, 1991); Gill vs Welch, 136 AD2d 940 (Fourth Dept, 1988). 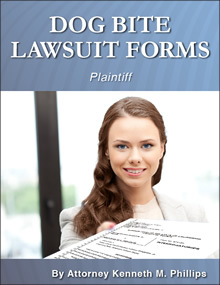 If a defendant fails to submit admissible evidence his summary judgment motion must be denied. Pringle vs New York City Housing Authority, ___AD2d____; 689 NYS2d 181, 182(Second Dept, 1999). If there is conflicting evidence regarding the dog's vicious propensities, that issue must be given to the jury to decide. Frantz vs McGonagle, 242 AD2d 888 (Fourth Dept, 1997). Proof that dog was bred to be aggressive and was high strung and territorial not enough to raise issue of fact re: dog's vicious propensities or owner's knowledge of same. Wilson vs Whiteman, 237 AD2d 814, 815 (Third Dept, 1997). Out-of-pocket, lost wages and punitive damages were all recoverable in Nardi vs Gonzalez, 165 Misc2d 336, 339 (1995)(note that although this case involved a dog injuring another dog, the court stated that such damages could be recoverable in an attack on a human). Damages of $310,000.00 were held excessive where evidence indicated that the victim was able to perform most of her household duties and work full time, and was coping with phobia of dogs by seeking counseling. Fontecchio vs Esposito, 108 AD2d 780, 781-782 (Second Dept, 1985). An attack on another dog or companion animal can result in serious consequences for the dog owner or keeper as well as the attacking dog itself. A judge or magistrate can determine that the dog is dangerous and impose penalies on the owner and conditions of confinement of the dog. The dog even can be euthanized if it previously was declared dangerous and this time it inflicted serious injuries or death on another dog. For more information, see Agriculture & Markets Law, Section 121. New York needs to move into the 20th Century (it was in that century that most of the strict liability dog bite laws were enacted). Although it is thought of as a liberal state, New York's dog bite laws are almost exactly the same ones that were created in the 17th century by British judges for the quaint English countryside. 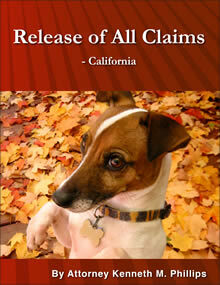 The highest court of New York has even ruled that there is no such thing as dog owner negligence. Reliance on the one bite rule is completely wrong, in modern New York or any other American state, because when the one bite rule was established there were no pit bulls, the practice of dog fighting had not been invented, there was no insurance industry to spread the risks, and there was no USA with its focus on fairness and human rights. All those things have changed, and that is why dogs have lost their right to bite in most states. New York needs a strict liability law like that of nearby New Hampshire. The state of New Hampshire has a law pertaining to canine-inflicted injuries that covers any cause of damage by a dog, and applies to injuries to not only humans but also any form of property, including another dog or cat. 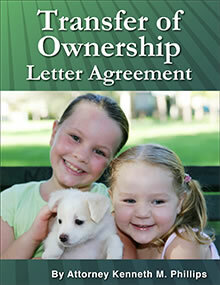 (The text of the statute is set forth at the New Hampshire section of dogbitelaw.com.) Such a law is worth fighting for.